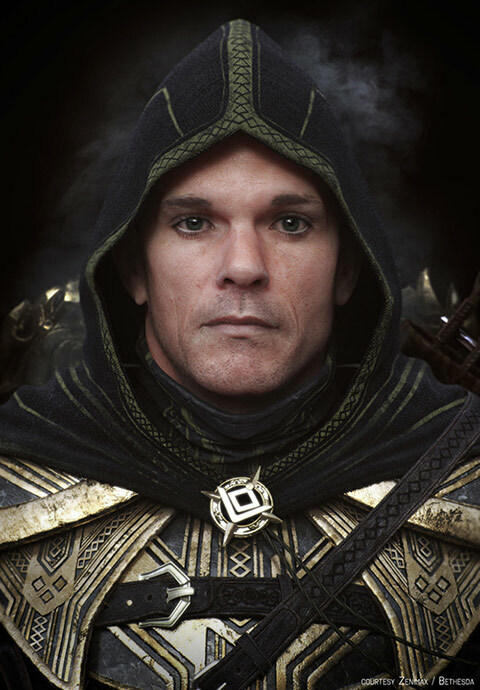 Alessandro Baldasseroni is a 3-D character artist who was born and raised in Milan, Italy. The artist specializes in character modelling, texturing and shading, and is arguably one of the best in the industry for this kind of thing. Alessandro started off as a CAD operator working for a company before he got into game art with his job as a 3-D generalist at Milestone, one of the biggest game developers in Italy. Almost twenty years have passed since Alessandro first experimented with the software and he is now working as a character modeler at Riot Games. In the past, he had the opportunity to work for other renowned companies like Blur Studio and Games Workshop. He is here today to tell us a little bit about his journey so far and his plans for the future. I started my professional career as a generalist at Milestone, a video game developer based in Milan. I’m a self-taught character artist and I started learning all about it in 1996. I played around with 3-D software, mostly 3ds Max and AutoCAD. There were no real influences, I never studied art and I was wanting to express my creativity. 3-D was interesting enough on it’s own at the time. How did you know that you wanted to become a 3-D artist? I didn’t know, it was nothing but a hobby back in 1996. I was working toward a personal portfolio for fun whilst working full time as a CAD operator at a telecommunication company. When the opportunity was presented to me, I chose to apply to Milestone to see if I could make a living as a computer graphic artist for games. 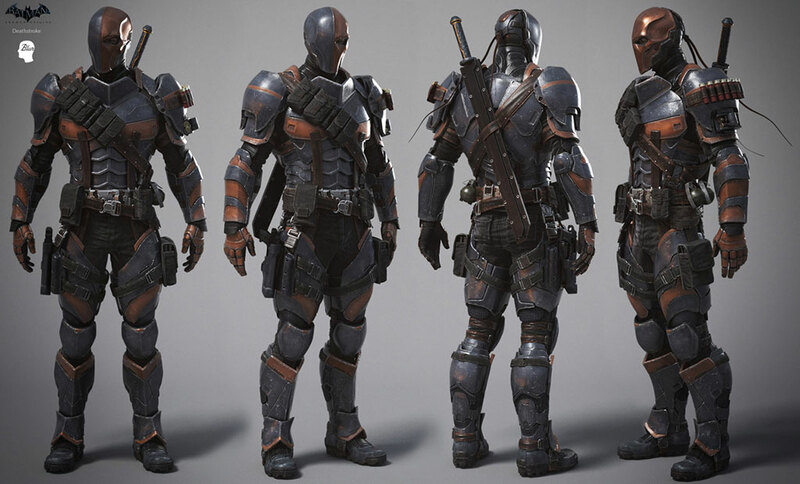 Deathstroke (A 3-D character made for the Arkham Knight announce trailer). Describe the types of software and processes you use. I use 3ds Max for poly modeling and ZBrush for hi-res sculpting. Other software like MARI and Photoshop come into play later when I get to texturing. My workflow usually goes like this if everything is going according to plan. What’s the biggest challenge you ever had to overcome? I never went through formal study so I don’t know a great deal about anatomy or sculpting. Instead, I learned slowly through trial and error. It took a long time before I developed a trained and was more confident when approaching a wide variety of different characters in terms of styles. I wasn’t sure whether I could execute it cleanly before. I still have a lot to learn even now! 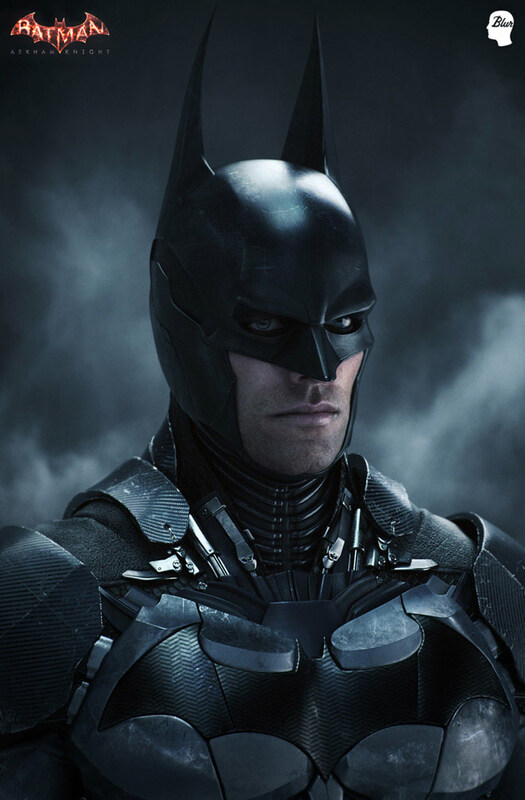 Tell us about your work on the Batman: Arkham Knight announce trailer. I worked on the Batman character, doing modelling, texturing and shading based on the guidelines of the in-game model provided by the client. I was also the lead character artist on this project which means that I had to oversee the development of all character assets, looking at artistic quality and technical execution. Batman: Arkham Knight (Blur Studio). Batman (A 3-D character made for the Arkham Knight announce trailer). How has working at Blur helped you to better yourself as a 3-D artist? Working for Blur has definitely helped me to work when under pressure with high standards. Moreover, I’ve been lucky because I have been able to get in touch with the awesome artists that work over there, especially the character modelling team that was there at the time. This allowed us to share and learn techniques quickly, getting good constructive feedback. What advice would you give to an aspiring 3-D artist? Create your own personal portfolio and fill it with good works, it’s all that matters. The portfolio is your business card and it works like that on every level. What’s next for Alessandro Baldasseroni? © Alessandro Baldasseroni or their respective copyright holder.